One of the areas I have struggled to gain control over is with my relationship with God. I have never struggled with my belief. I have never had a situation that has caused me to be angry at God. I have never felt he has left me alone all by my self. He has always been a part of my life, but sometimes … actually more often … he has been distant. I don’t blame him for not being there. I know he is not at fault. The fault lies completely on me. Over the years our relationship has been like a tapestry, we weave back and forth with moments of strength and times of utter failure. That’s not my desire for my relationship with God. I desire a relationship where we are growing closer each and every day. Life lived together were I spend time hearing from him in his word, where I spend time sharing with him through prayer, and time where I spend in worship. There has been moments of this throughout my life, but those moments tend to last for a few days, and then I get distracted and move back to where I was. I have written about this before. This isn’t a new thought on this blog. If you have read me in the past you have seen very similar words. While these are similar words I really want this to happen. Its not that I didn’t before, I really did, but I have had a new realization. The reasons these times failed before was because I was completely unorganized in life. I wasn’t ready or able to follow through on my desire because so much else was taking precedent. It is my desire that my Year in the Life of Organization will help me to also grow deeper in my relationship with Christ. I am fully convinced that organizing many areas of my life will help to draw me deeper where I want to be spiritually, physically, socially, in my ministry and with my family. I am also fully convinced that living deeper with Christ will also radically change all those areas as well. I love what Jesus says in Luke 14:26 “If anyone comes to me and does not hate his father and mother, his wife and children, his brothers and sisters–yes, even his own life–he cannot be my disciple.” Now Jesus isn’t asking us to really hate our family members. He is simply asking us to love him so much, to need him so much, to follow him so much, to serve him so much that it makes our love for our family look like hate. But here is the beautiful part, as our love for God grows, as we follow Christ closer, our relationships change. When we love like Christ loved, when we have compassion like Christ had, when we face anger like Christ did our relationship with our family is enhanced. That is why I am convinced that getting my spiritual life in order is paramount to me being successful this year. So how do I plan to do that? Well I plan to use a couple of tools. The first is YouVersion. YouVersion is an online Bible. It is an amazing tool that allows the user to see and use multiple translations at one time. 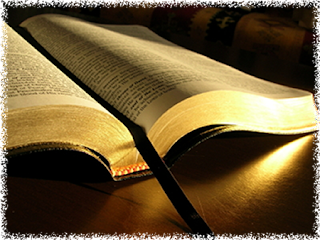 It also has several Bible reading plans that users can choose from. Most if not all will provide you a reading plan that will take you through the Bible in one year. I am currently doing the Chronological plan that uses what scholars believe is the order the books of the bible fall into historically. The best part of YouVersion is it has app downloads for Androids, iPhones, iPads, iTouch, and many other smartphones and tablets. This allows the user to sync their Bible reading plan across devices. This has really organized my Bible reading. Try out YouVersion and explore its many features. For me my Bible reading is just the beginning. I am also carving out a time each day to spend in worship and prayer. How I am doing that I will share in a future date. This is beginning to become an amazing adventure in my life.